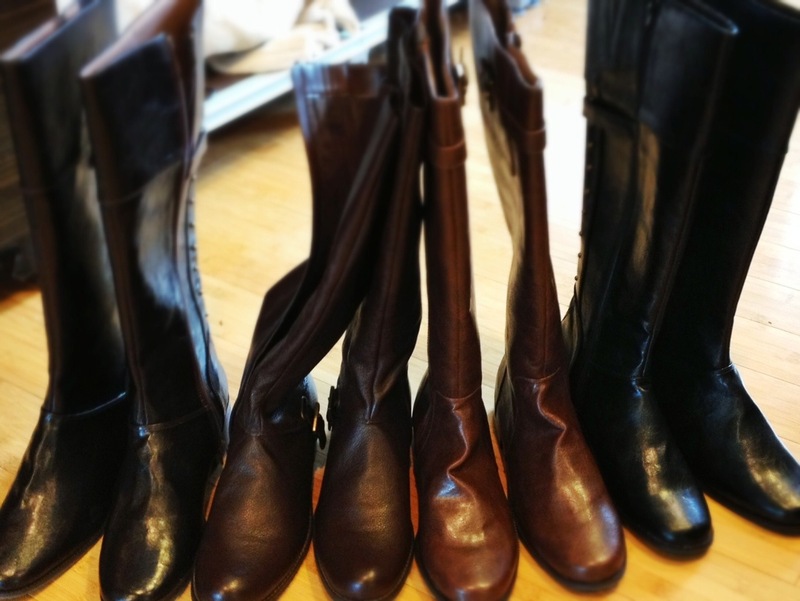 Boots and Summer Goals – Tamara Shazam! Way back in June I wrote the following list of goals. I started wondering how I was doing on them. Turns out, I’m not doing stupendously well! – Weed out my too-big clothes! They are everywhere! – Relax, laugh & have fun! *I’m at an average of three runs per week. I see that changing, though, since vacations and craziness is all over. *The ice caves hike has been pared down by the parks service to a 1/4 mile * walk each direction. Because it’s such an easy hike now I’ve not been very interested in driving the hour to get to the trailhead. Isn’t that terrible? I decided the other day to plan it along with another short hike in the area so I’ll still get a good workout in. * I don’t know where I saw that- it’s an easy mile each way. *My going-out buddy has been struggling too much with her depression so Neighbors wasnt going to work anymore. I substituted a teacher’s night out and a future celebration with a friend of mine who just got hired AND engaged. It’s not Neighbors, but it is going out and that was the whole point! *There just never seemed time to go back to the spa. Sigh… Plus, I just like my family so much! It’s hard to leave them when I know I have to leave them every day for work in just a couple of weeks. *My kids did a surprisingly good job cleaning their own rooms without my help! All the training has paid off! Could we be entering a new era? I hope so! 6PM.com was having some pretty awesome prices on wide calf boots and I took advantage. Remember how I was supposed to get ONE pair of boots? Ha ha ha! Yeah. I saw way more than one pair for my wide-calved, clown feet. They are beautiful and I need to lose seven pounds stat so I can wear them this fall!